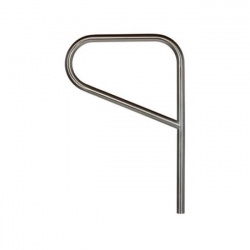 The Ollerton Pennant Cycle Stand is manufactured from a carefully selected grade of 304 stainless steel with a 800mm height above ground, 740mm width and features a 48mm diameter. For cycle security, ease of use and smart appearance, the Ollerton Pennant Cycle Stand is a good all-round choice. 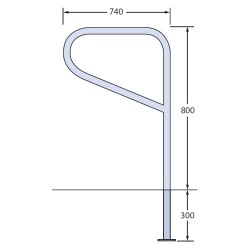 Made to Marshalls’ exacting standards and covered by a comprehensive guarantee of 12 months, the Ollerton Pennant Cycle Stand excels where cycle security is paramount. So town centres, schools, colleges, universities and work premises can all enjoy security from a Pennant Cycle Stand that is delivered free but which won’t give anything up without a real fight.